With Easter weekend running completed we return to the pink timetable during the week and our winter green and blue timetables in operation at the weekend. 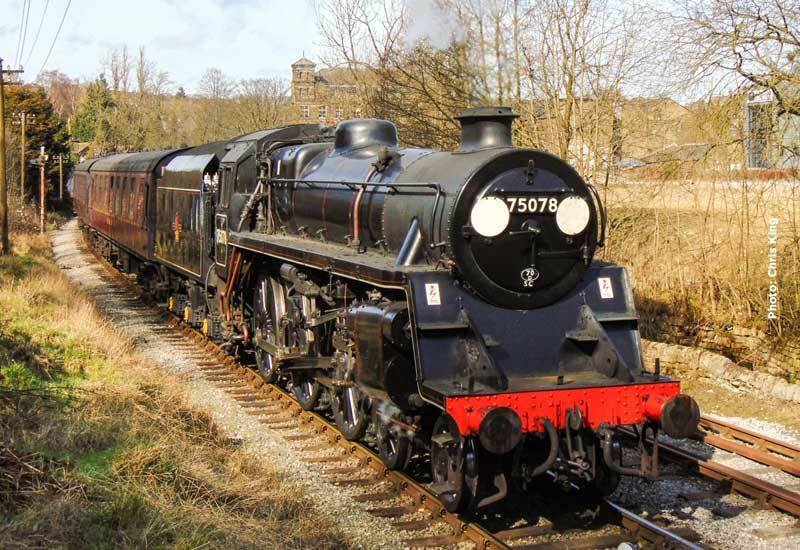 All steam turns during the week and at the weekend will be in the hands of BR Standard 4MT 4-6-0 75078. The Saturday diesel turn and the first 2 on Sunday will have our Class 101 Diesel Multiple Unit running the service. On Sunday, after 2 round trips, the DMU gives way to English Electric 0-6-0 D0226 which will haul a short passenger train of suburban coaches for the remainder of the day.